the Gauchos will make it true! SOLIECOL is an integral and ecological undertaking composed by rural families aiming to diversify the economic oportunities of the rural families by creating jobs thanks to sustainable tourism but also to maintain ancestral knowledges. Since 2011, we offer travellers the opportunity to discover the extraodinary landscapes and traditions from northern Patagonia, being respectful for its people, its nature, their balance. For that purpose, we share more than our horses and our fire, we take you to experienc our lifestyle. Chosing to visit us, you allow the valorisation of the autochtone population knowledge and in a common effort, we improve the gauchos' living conditions. Guiding, renting horses, manufacturing crarft products, cultural workshops, food production: each treck leads to various remunerations. The value of each of them is established fairly and reasonably by the families together. Benefits resulting from the touristic activity are invested in an effort to maintain our traditions. It is not about isolating ourselves in the mountain refusing to walk along with the world ; opening ourselves to it is a viable solution. It is in our interest to find a way to impose our rythm and point of view, to use the modernity tool to our way. We get on with easing the campo life, making it more comfortable in order for it to become more attractive: solar panels for electricty, waterproof zinc roofs, a SUV to move around from time to time. We progress with conciliation, away from antagonisms, but are desperate by the idea that this way of living, so particular, of transhumant breeders could disappear. We invest in ancestral knowledges to prevent this from happening, breed loading mules, cultivate thatch, work with leather ; we defend the obsolet in favour of our independance. So, in six years, we have made miracles; without any preliminary investment, with passion and perseverance. 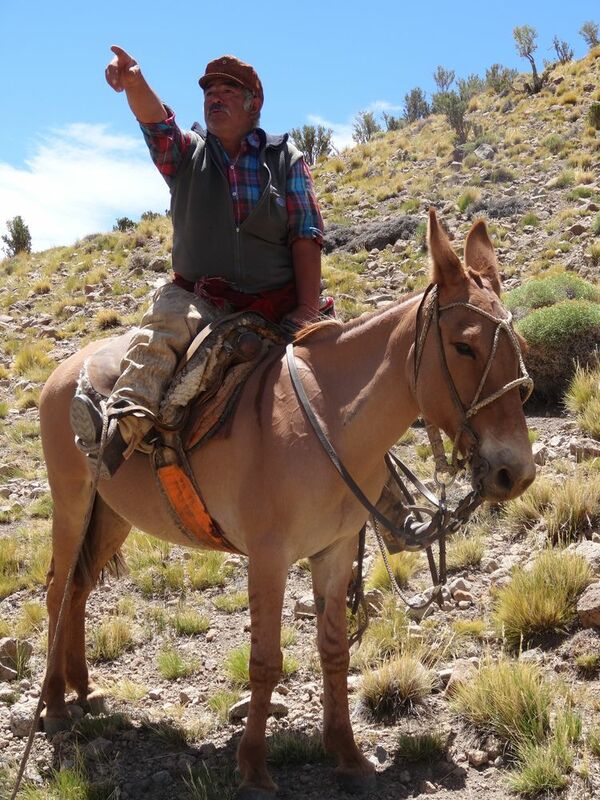 For all of us, patagonian Gauchos, it's clear that the support of the Soliecol Riders is invaluable! Ceferino lives close to the Tromen volcano with his horses and sheeps. He was born in the mountain and rarely leaves it. He’s got lots of friends who come to visit him so he doesn’t feel lonely very often. After he met Elsilina he chose to join the horseback ridings project, more interested in adventure than incomes diversification. He is a curious and attentive guide, he likes to meet people he could’nt have cross another way, because its isolation characterizes his life. He travelled in France in summer 2016, and he’s ready to do it again! Elsilina was born in Brittany, France, first argument to become a world traveler! She learnt about the job in the little Europe – get some degrees too – and she arrives in Patagonia with the objective of being useful. 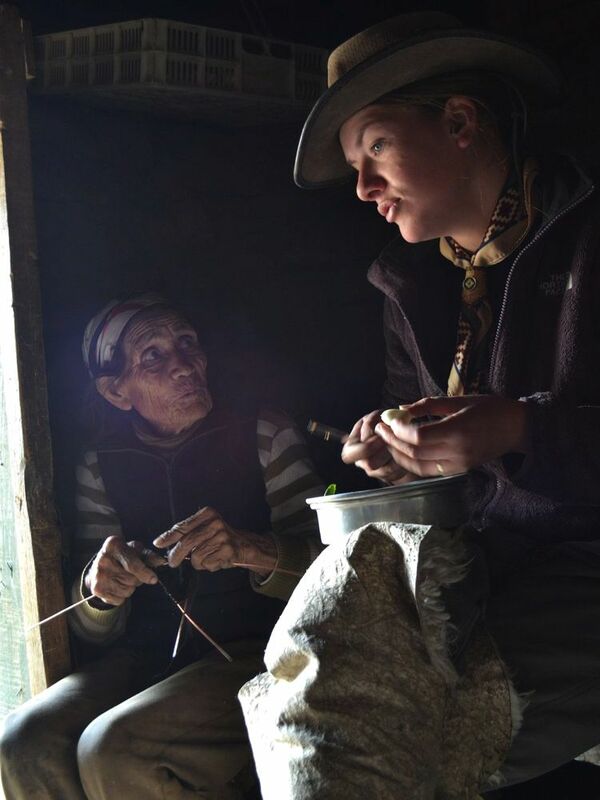 So she founded the NGO, then became gaucha and eight years after that she can’t imagine living somewhere else out of the Andes, her home, it’s SOLIECOL! She is the interpreter who, beyond words, help strangers to understand eachother: she translates this way of life by knowing every aspect of it, she explains their gauchos daily life, their landscapes and their hopes. 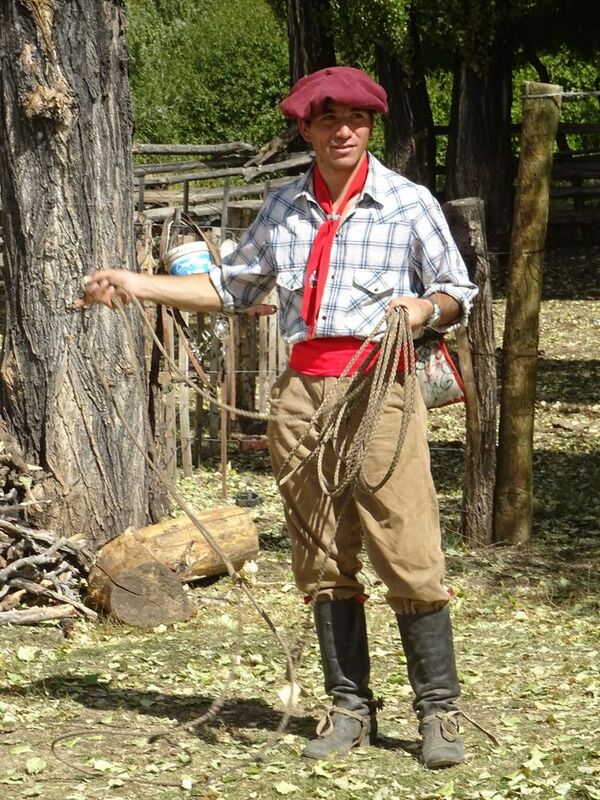 Jose is an experimented gaucho and guide. With his father and two brothers, he watch over the herds with dedication, especially the one with thirty mares living around freely. 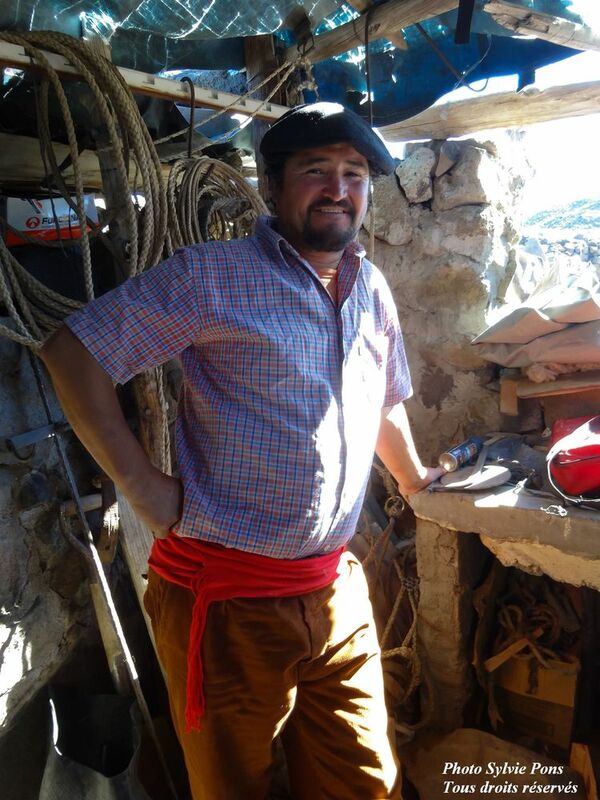 He shares with tourists his hability for leather work, he teaches the manufacturing steps of lasos, halters or rodilleras from the animals skin to the artistic finishes. All summer adventurers knock at his ranch door on the banks of the Tromen lake. He likes to be with them, he always brings them the best, he is very perfectionist! Valentin is the tribes clown, there’s always one! He lives in Arroyo Blanco with his amily and their horses. He’s got a few cows and a hundred of goats too, his wife works in the school. He listened to his friend Ceferino talking about his touristic adventures so he decides to throw into the project! Since 2014, he’s an humble and industrious guide, always available to give mates and make the riders laugh, no need to speak french! His son Juancito is 19 years old and also works in the horse rides, he was first very shy but now he gives out his smile without hesitation! Juan was born in a campo close to the Trocoman river and it’s love which brought him to the village El Cholar as he was a teenager! He’s got two adorable daughters with Benedicta, who works in the foundation Alza tu Rostro. He met Elsilina during the Peasant Confederation meetings, as she couldn’t speak spanish yet, but he understood all her idea and integrated Soliecol at its very beginning. 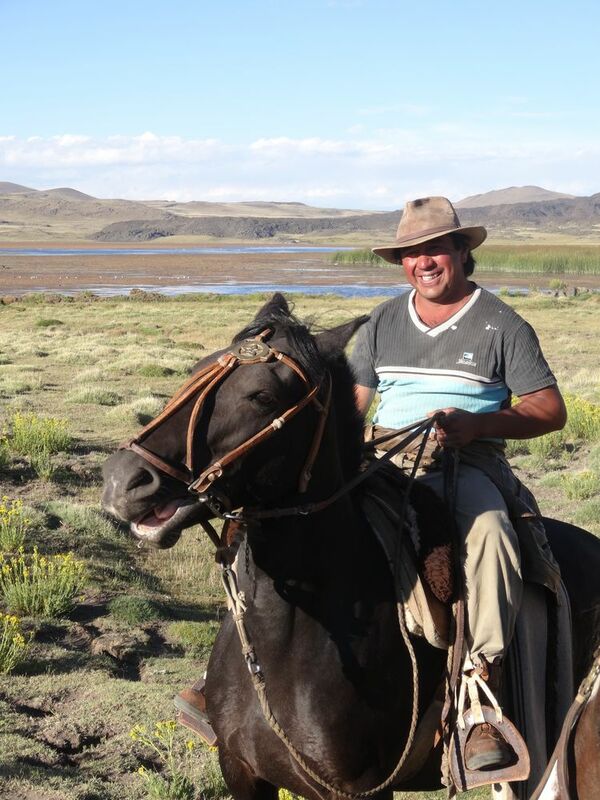 He’s got a dozen of gauchos oncles from who he learnt everything, there is no better one to follow a track! The Nature without Borders circuit, he knows it like the back of his hand!